Over 20 players made the trip this year for an extended training session including fitness work, skills drills, and team building activities capped off by a scrimmage before heading out for a hard earned meal and a tour of everything London’s night life had to offer. First time Dingo players Lynden Evers, Tim Indian, Ricky Nolan, and Ben Moller put in a great showing both in training with heart and voice, as well as in the scrimmage at the end of the session. 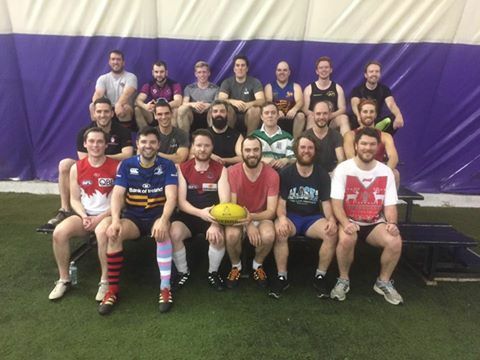 After a strong start to the pre-season there is no better group for the Toronto Dingos’ to follow into the fray of the rapidly approaching AFL Ontario season. The Dingos will continue to train on Tuesday and Thursday nights at David Balfour Park in the lead-up to the opening round of the season. If you're interested in joining the pack for 2017, it's not too late! 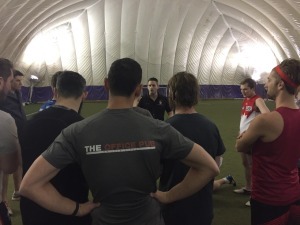 Send an email to coach@torontodingos.com and we'll provide you with all the information you need.